Spring has sprung! Last month we saw some beautiful weather with temperatures in the 70’s (well -deserved after February) and with that, the grass started growing. Make sure you come to one of our Fast Fuel stations to get Non-Ethanol Gasoline for your mowers or other lawn equipment. The warmer weather also means BBQ season, and we can fill your BBQ tank at our office in Downtown Olympia. Did you know that Acme Fuel is one of the oldest businesses in Olympia? We are proud to say that we are not only locally owned, but we are a 3rd Generation Family owned business! 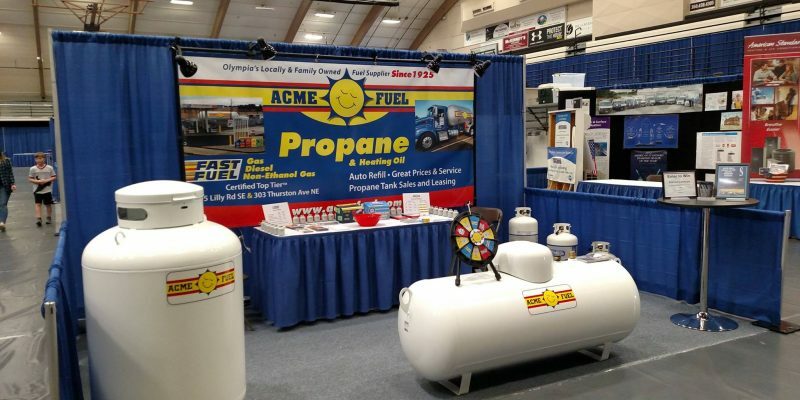 Most of the propane companies in the area are huge, nationally owned companies. Even ones that used to be local are now owned by “the big guys”. With that, they often do “bait and switch” pricing. Meaning, new customers or call in customers get a “special price”, and loyal customers pay through the nose. At Acme, our loyal customers are who we value; so we always give fair and equal pricing to all. Come see us at the Home Show April 27-28 at St. Martin’s, open 10-5 each day. We’ve been a participant in this event since it was in the old South Sound Shopping Center! We love seeing our existing customers and gaining new ones too! Last, but not least, if you like doing business with Acme, we encourage you to give us a 5 Star Google review! For everyone who gives us a 5 Star review, we will enter you into a monthly drawing (from April through August) for a $50 dollar credit to your account. Please only 1 entry per person. If your name is not drawn, it will roll over to the next month. If you give a review, email us a screenshot to customerservice@acmefuel.com to ensure you are entered into the drawing. That’s it for this month. We truly appreciate our customers! Click here to download your newsletter!